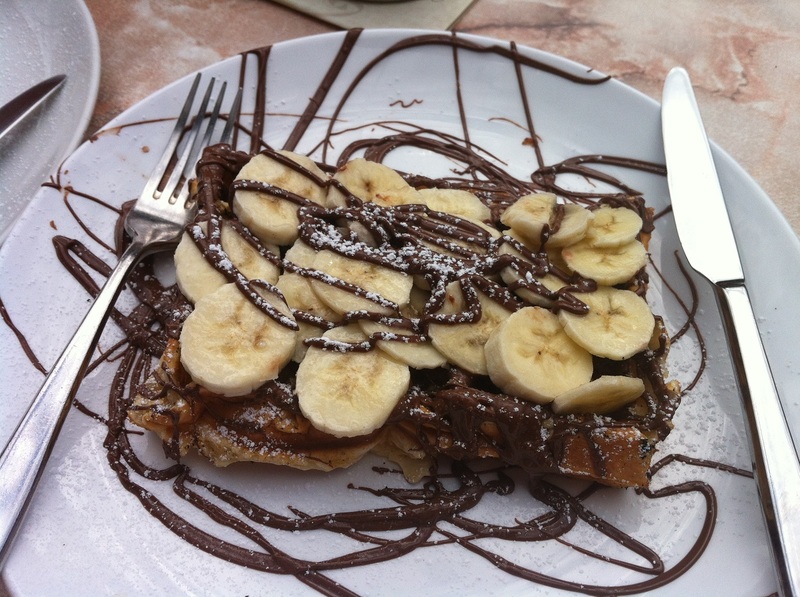 Kensington Creperie is a great place to enjoy dessert: ice cream, crepes, or waffles. I was there last Sunday and I was lucky that it was a sunny afternoon. 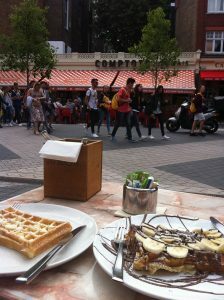 Definitely a worth-to-try place to enjoy waffle and sit outside watching the world goes by. I order banana-with-nutella waffle. It tastes delicious. 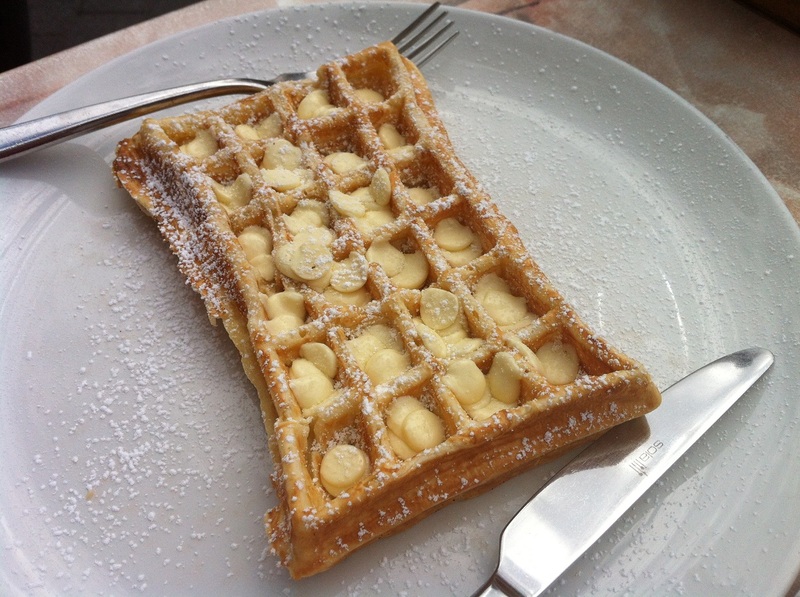 My hubby has the waffle with the white-chocolate. The prices are reasonable too. The waffle costs £5.50 each. I am sure I will come back here again.